Visitors are often surprised by this area. A rural and peaceful location our visitors have enjoyed winding down with walks along the river and around the Castle and Priory. The attractive coast line is not far and there are plenty of stately homes of Norfolk. What a summer of endless blue skies and sunshine. The gardens were open at the beginning of the month for the National Garden Scheme and we received an amazing 450 visitors who helped raise nearly £3,000 for the wonderful nursing charities that the scheme supports. Tea money on the day raised £1,000 for the Friends of Castle Acre Church. Perhaps we should thank the wonderful article in the July edition of The English Garden Magazine. And summer looks as if it is going to continue. September has to be the best month in Norfolk. 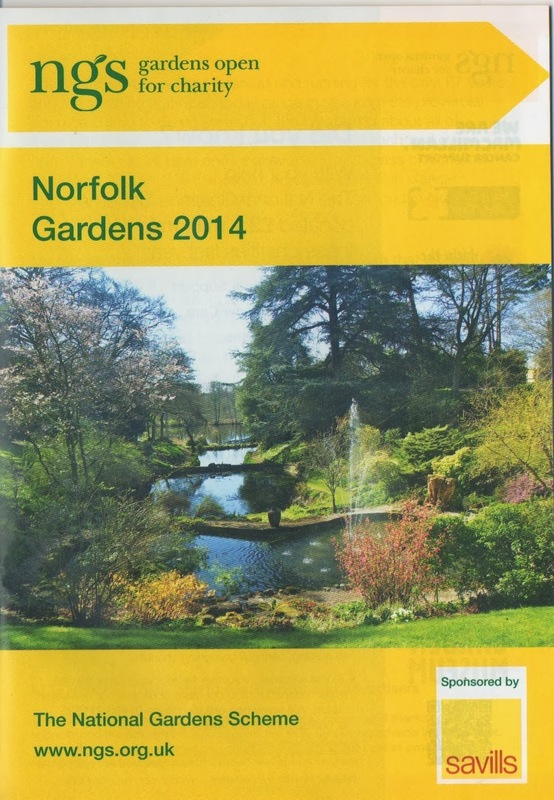 National Garden Scheme Norfolk 2015 Booklet has now been printed. It contains so many lovely gardens to visit starting next month with the wonderful Bagthorpe Hall, situated nearby, which is open for the stunning snowdrops. July has flown buy and I can't believe it is August already. Lots of lovely guests and we have been very busy in the garden. We opened our garden with 9 others in the village and 420 people came, walked, admired, bought plants, ate delicious teas and in spite of an hour of heavy rain, we raised £3,000 for village charities. This sunny morning I went to the launch of The National Gardens Scheme's (www.ngs.org.uk) booklet for Norfolk Gardens open in 2014. Last year the Norfolk Branch raised a record £85,000 for the following charities: Macmillan Cancer support, Marie Curie Cancer Care, Help The Hospices, Carers Trust, Queen's Nursing Institute and Parkinson's Uk. 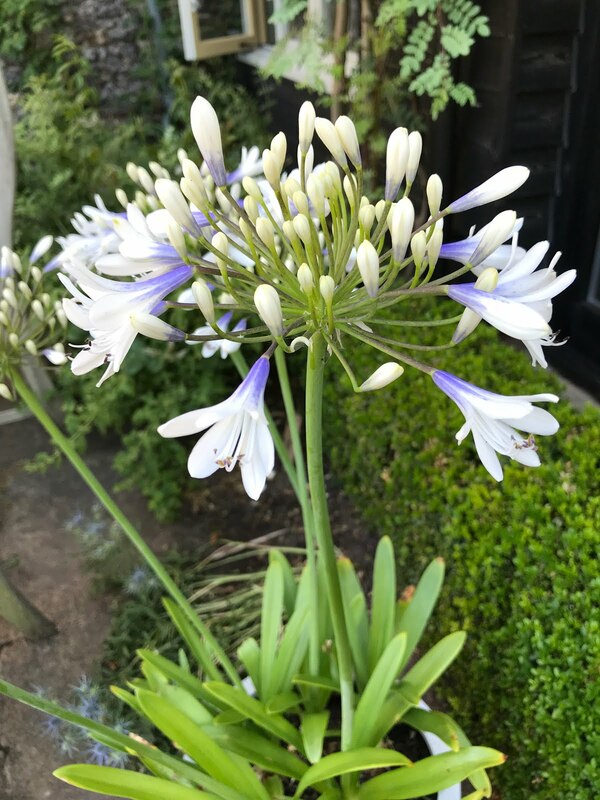 It is not only such fun to visit these varied and charming gardens, and an interesting way to explore the county, but also a very good way to support such a brilliant charity. A Knot Garden, has been planted in the garden at Tudor Lodgings. The design was taken from Mondrian, planted with box; the infill is yet to come.